From December 1 this year Vietnamese who can show a minimum income of VNĐ10 million (US$440) a month can gamble in casinos. Circular No 102/2017, issued by the Ministry of Finance in early August to guide Decree No 03/2017 on casino businesses, lifts the ban on Vietnamese entering casinos that is in place now. Only foreigners are currently allowed into the country’s casinos. Once the ban is lifted, to enter people must also prove they are over 21 years old. 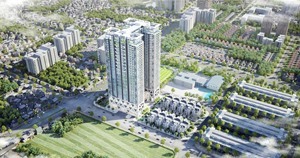 As for the income, they have to show it is taxable at level 3 or higher or have certified copies of a lease agreement showing they receive rent of at least VNĐ10 million a month or a bank statement showing interest income of that sum. Since 1992 the Government has been acknowledging that casinos would help attract tourists and bring revenues. This resulted in the first casino appearing in 1994 in the beach resort of Đồ Sơn in Hải Phòng. 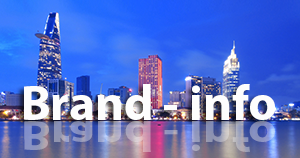 Now there are eight casinos and more than 50 electronic gambling facilities nation-wide. 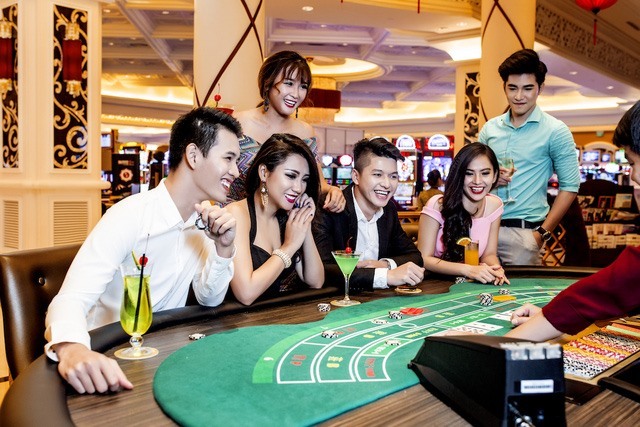 The new circular is expected to encourage the opening of casinos around the country, especially in special administrative-economic zones like Vân Đồn in Quảng Ninh Province, Bắc Vân Phong in Khánh Hòa and Phú Quốc in Kiên Giang. In Vân Đồn, the province people’s committee has licensed real estate developer Sun Group to build a US$2 billion luxury resort-amusement complex with a casino on 2,500 hectares in the special economic zone. Both Quảng Ninh and Kiên Giang provinces want the Government to choose casinos in their locality to trial entry for Vietnamese. Other provinces, including those without special economic zones, also want a piece of the action. The Thừa Thiên-Huế Province People’s Committee has sought permission to increase the charter capital of the Lăng Cô Laguna Project from $874 million to $2 billion and open a casino. The new circular has attracted some public criticism, with people saying the regulations limiting entry based on income cannot be enforced since it is difficult to prove income. To gain entry, a person has to be paying income tax at level 3 or higher, but in Việt Nam 70 per cent of payers are assessed at level 1. Others said the daily maximum gambling limit of VNĐ1 million is too low to attract high income earners and help the Government achieve its revenue target. Meanwhile, the existing casinos are operating at just a third of their capacity and claim to be losing money. The Hoàng Gia International Construction Investment Joint Stock Company said its casino business made a gross loss of VNĐ35.8 billion last year and a net loss of VNĐ101 billion in the first nine months of this year. Analysts blame this on the rapidly growing competition, with more and more casinos fighting for fewer gamblers from overseas, most of them from China and Taiwan. Vietnamese gamblers usually cross the border into Cambodia, where many casinos target them. The Government’s decision to lift the ban is expected could not have come sooner for the casinos. The circular that allows the extension of foreign currency lending to enterprises involved in export activities will expire in a month. Economists are concerned this could affect borrowers. Last November the State Bank of Việt Nam (SBV) issued a circular amending and supplementing some articles in an earlier circular guiding lending in foreign currencies. This allowed enterprises with short-term foreign currency requirements for their production and export activities to continue borrowing in foreign currencies until the end of 2017. Interest rates for foreign currency loans are only around half the on đồng loans. They are currently at 2.8-6 per cent. Interest rates for non-priority đồng lending stand at 6.8-9 per cent for short-term loans and 9.3-11 per cent for long- and medium-term loans. Exporters are understandably worried they would lose this big advantage from next month. Analysts fear there will be a double whammy for exporters. Firstly, their costs will shoot up, hitting their bottom line. Secondly, demand for đồng loans will go up sharply, pushing up loan interest rates even higher, particularly at banks that have liquidity issues. The situation is predicted to become quite dire since growth in foreign currency lending is on an upward trend. In the first nine months of this year credit growth was 12.9 per cent compared to 5.4 per cent a year earlier. Export enterprises pointed out that if they have to borrow in đồng to finance their operation costs would rise significantly, affecting the competitiveness of their goods. They wanted the central bank not to have a one-size-fits-all policy since export enterprises’ business strategies are very different from those of other businesses. But economists justified the SBV’s policy saying the increasing demand for credit means dollarisation of the economy is a real threat and could undermine the Government’s anti-dollarisation efforts. To preclude this, it is necessary to switch completely from lending and borrowing the greenback to buying and selling it. Others said, however, that to do this there should be flexibility in exchange rates and businesses must be allowed to freely buy foreign exchange when they require. Moody’s Investors Service has upgraded the outlook for Việt Nam’s banking system to “positive” for the next 12-18 months from “stable”. 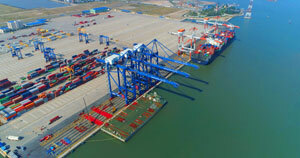 According to a statement from the credit rating agency, the Vietnamese banking system’s positive outlook reflects strong economic prospects, with the banks’ operating environment benefiting from robust economic growth, based on ongoing improvements to infrastructure, favourable demographics and the Government’s continued focus on reform to support foreign direct investment. But it also warned Việt Nam of rising asset risks as the nation boosts credit growth to drive the economy.